Complete or partial dentures provide a practical solution for the replacement of missing teeth. With the advancement of dental implants, dentures can now be permanently placed, allowing the feel and look of natural teeth. 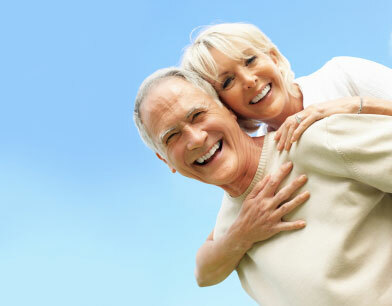 We are happy to discuss how you can restore your smile with complete or partial dentures. Complete dentures are ideal if you need to replace a full row of teeth at once. They are fit to your mouth so theyâ€™re comfortable, and are easy to maintain. They can be created to look natural and similar to your existing teeth. If you still have teeth in place a partial denture can can be used to replace several teeth at one time, without replacing a full row of teeth. This option may be recommended if there are several teeth affected by decay that could be removed at once. If you think complete or partial dentures might be useful options to restore your smile be sure to contact our Westerville or West Columbus office, or schedule an appointment online.